By the time you read this blog, I’ll be on my way to Malaysia to visit some of the formative landscapes where I grew up. You can hear more about the jungle that I spent hours exploring as a child and the impact that it had on me here. Kirsten Dallimore with students at Quadra Elementary. Photo by Craig Janzen. 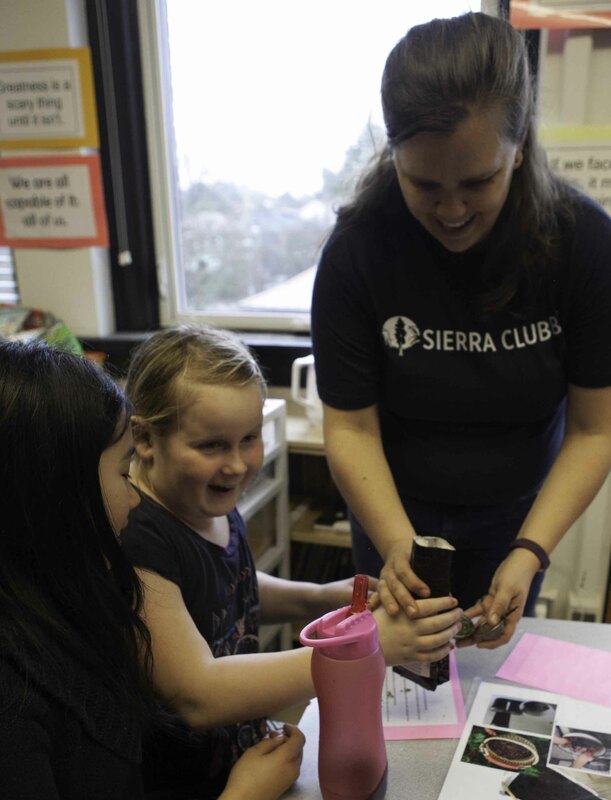 The winter holidays mark the end of our programming for 2017 and serve as an opportunity to look back on all that I’ve experienced in my role as Education Program Manager since joining Sierra Club BC in January. I am thankful for the opportunity to be part a non-profit that is doing such important work to help protect B.C.’s wild places, species and ecosystems. I am honoured to work with such an amazing group of people. Our team of environmental educators – Kirsten Dallimore (who is in the midst of her fourth school year delivering Sierra Club BC’s free workshops) and Amira Maddison (who joined us in March and will be returning in February to continue facilitating workshops in the Lower Mainland) – worked hard this year to provide hands-on learning opportunities to students across the province. They facilitated 251 workshops for over 5800 students at 80 schools in 21 school districts! Kirsten and I also had the opportunity to lead professional development workshops for teachers in Fort St. John, Surrey, Victoria and Vanderhoof. For me, these were excellent opportunities to get out from behind my computer and connect with teachers… and also to visit some beautiful parts of Northern B.C. 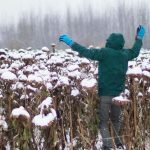 As the days get even shorter and the winter solstice approaches, I hope that you will be able to take some time to slow down over the holidays, connect with your natural surroundings, and think about what is important to you. I know that for me, reconciliation with Indigenous communities and protection of the forests, rivers and ocean are near the top of the list. From myself and the rest of the Education Team at Sierra Club BC, happy holidays and thanks for all you do to help kids get outside and learn!